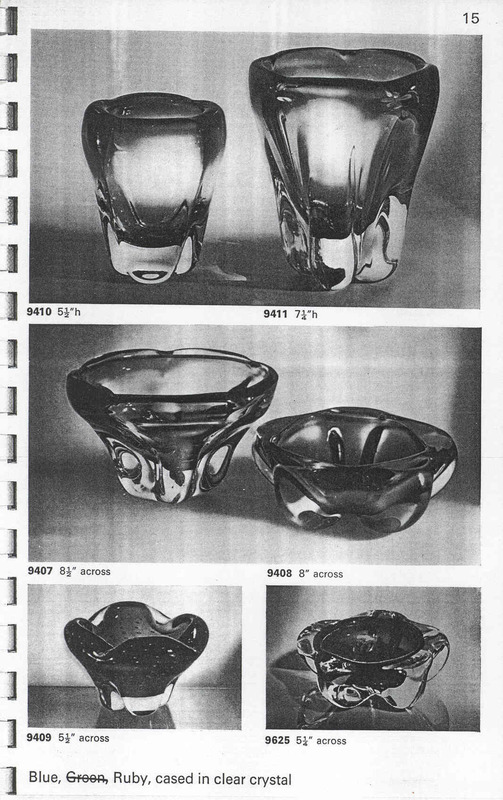 Below are Knobby Vases Produced with pattern numbers and sizes. 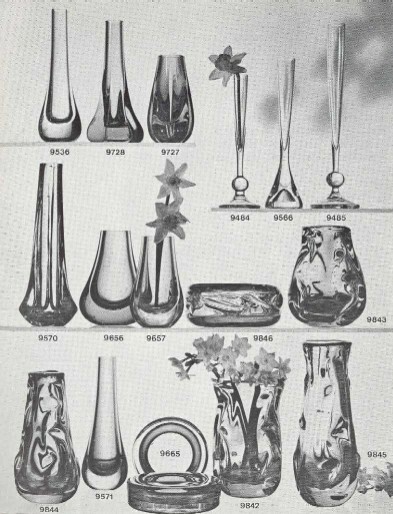 Bud Vases with pattern numbers and sizes. Coloured full lead crystal vases, bowls and dishes.